Plumbing issues occur in everyone’s home or business at one point or another. However, depending on where you live, some plumbing issues may occur more frequently than others. This is often due to natural elements and environmental factors common to the area. The northern region of central Florida is characterized by a number of environmental conditions — such as high mineral concentration and water treatment — that directly affect the prevalence of certain plumbing problems, including scaling, pipe leaks, and burst pipes. If your residential or commercial plumbing system develops an issue, contact Sunshine Plumbing and Gas for all-encompassing plumbing services tailored. Our plumbing repair company has the experience, qualifications, and skill set required to handle any North Central Florida plumbing issue. Our No.1 priority is customer satisfaction — we offer 24/7 emergency plumbing service to keep you comfortable. Whether you’re a Florida-native or you've just arrived, there are a number of plumbing issues to know about that are common to the area, including the following. Pipe leakage is one of the most common plumbing problems that can occur anywhere. But for home and business owners in North Central Florida, pipe leaks are even more common because of the method in which water is treated. Due to persistent moisture and warmth, bacteria grows at a much faster rate in the region. In order to keep drinking water safe, Florida treatment plants add more chlorine to stop the spread of bacteria and other microorganisms. When chlorine mixes with hydrogen sulfide and dissolved oxygen, the blend becomes corrosive and can eat away at pipes causing leaks. If you notice that your water bill has spiked, or find wet spots in the walls, ceiling or floor, you might have a leak. It’s imperative that you contact us as soon as you notice a leak, as even the smallest leak can lead to major piping repairs and replacement, contaminated water supply, and even severe water damage to your property. Though the air keeps warm for the majority of the year, the cold season can bring frost to Ocala and the North Central Florida region. This can spell a disaster situation for any pipes exposed to the icy outdoor air. If the pipes are left unprotected and without proper insulation, water inside the pipes can freeze. When water freezes it expands, causing even the strongest pipes to crack or burst. If a burst pipe is not identified and repaired before the water inside unfreezes, the consequences can be devastating. In addition to serious water loss and water damage, excess moisture creates the ideal conditions for mold and mildew to grow and spread throughout the structure, affecting your personal belongings and even your health. If you have a frozen or burst pipe, don’t wait — contact us immediately. We will arrive promptly and repair the issue. Scaling is a problem that occurs in pipes due to mineral buildup. Mineral buildup decreases the pipe’s diameter, sometimes even blocking it, and interferes with the flow of water. Scaling is common in Ocala because many areas in Florida use reverse osmosis to purify water. This water-refinement process can allow minerals to enter pipes. Homes that occupy well-systems are prone to high levels of sulfur in the water and beach properties can experience high levels of minerals from sand and beach water. If you find that your water flow has been considerably reduced, your pipes may be experiencing scaling. An Ocala plumber can help identify the source of blockage and remove the affected sections of piping. We can then clear the obstruction or install new pipes as needed — contact us for piping services today. How Can I Avoid Common Plumbing Issues? Some minor plumbing problems — such as a dripping faucet — can be fixed without the help of a plumber. But due to the complex nature of any plumbing system, it’s best to leave more advanced issues and repairs to the professionals. Consider the following tips for avoiding common plumbing issues and preventing problems from becoming worse. Schedule a plumbing inspection. Schedule a plumbing inspection before you sign a purchase or rental agreement to ensure the property’s plumbing is in adequate condition for use. What’s more, an inspection can serve to identify any piping or plumbing issues that may have been overlooked by the property owner or seller as well as components that will likely require repair or replacement in the near future. Don’t put off professional repairs. The best way to prevent a plumbing issue from becoming a disaster situation is to call the plumber as soon as you notice an issue. Having an expert inspect and perform any repairs necessary in the short term will keep your system running properly and prevent you from having to pay for severe damage remediation services down the line. Don’t delay — call us for trusted plumbing repair. Be mindful of your plumbing system. 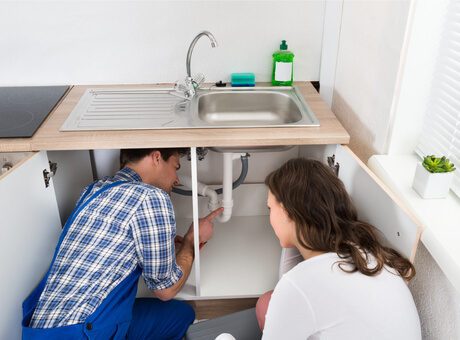 Plumbing systems in North Central Florida may be susceptible to the same common issues, but the individual property’s unique plumbing features and service history will serve to determine the problems likely to affect that specific home or business. Sunshine Plumbing and Gas provides residential plumbing and commercial plumbing services that are tailored to meet your structure’s unique needs.